Antique Quanlong Dynasty Reproduction Tea Cup? 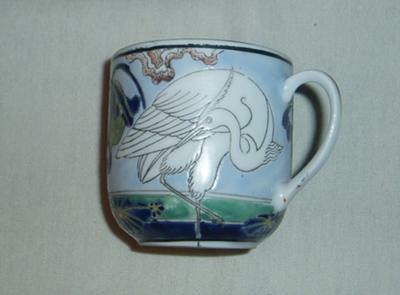 I bought this beautiful small tea/espresso cup from a thrift store last week and have tried to no avail to determine the manufacturer or its age. 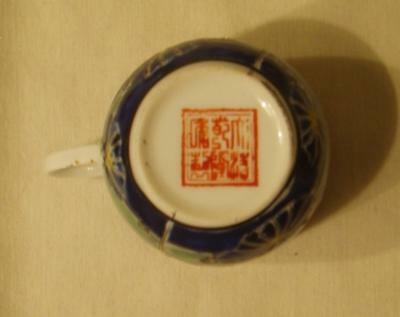 It has been stamped on the base with the Quanlong 6 character mark but also buried in the mark are modern "S213". 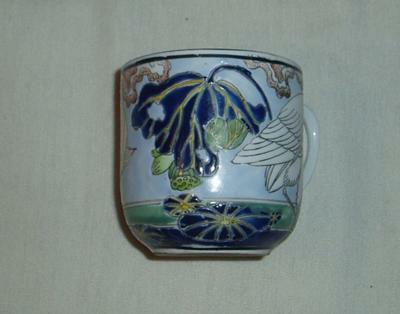 The cup is 2 5/8" tall and 2 1/4 at the rim. It has one whit egret on both sides. The colors are separated as if the lines between them were carved out. It has a gold guild on the rim and handle and the cup appears to be fine porcelain. I would sure appreciate any experts out there that might be able to help out this amateur! 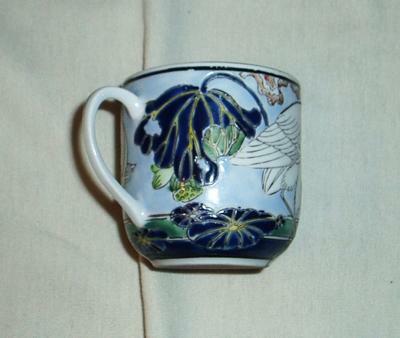 Comments for Antique Quanlong Dynasty Reproduction Tea Cup? This is a Chinese cup with a spurious Qianlong mark. The mark is only for decoration. As to the age, it is probably second half of 20th century or later. Rather in the last three decades, I would say.